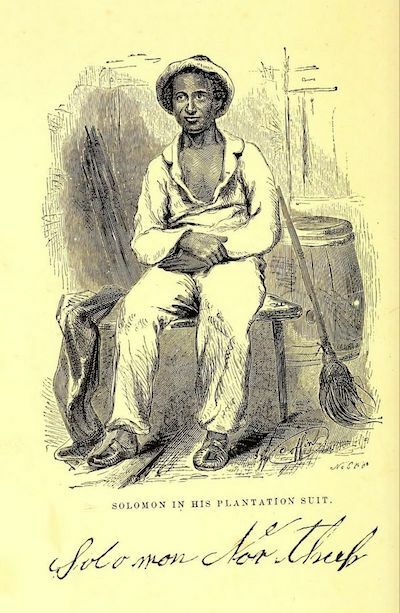 Solomon Northup was a free-born (July 1808) African-American living peaceably in Saratoga Springs, New York. In 1841, he was enticed to Washington DC with the promise of a job offer. But his supposed employers drugged him and sold him into slavery. He was transported from Washington DC to New Orleans and sold to a planation owner from Rapides Parish, Louisiana. He worked as a slave until January of 1853 when he regained his freedom. His memoir of the experience, Twelve Years a Slave was published in 1853, and recently made in to a Hollywood movie. The book has been added here as a convenience for movie viewers that are also interested in reading the Northup's book. Readers, students and teachers may also be interested in the African American Library.